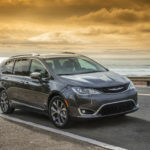 Inspired by community threads from Pacificaforums.com, the You Asked, We Answered video series from the Chrysler Brand provides straightforward answers to the questions most often asked about the Chrysler Pacifica. 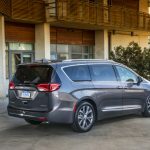 The goal of today’s video is to help buyers who are already all-in on the Chrysler Pacifica decide which powertrain is best for them – the traditional gasoline option, which achieves a highly respectable 28 highway mpg1, or the exciting hybrid option, with its 33-mile pure electric range2 and 566-mile total driving range3. To be sure, one can’t go wrong with either. 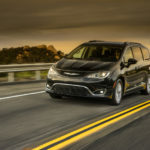 But depending on driving habits, average trip length, storage needs, passenger number and other variables, a buyer might find he or she is better suited to the hybrid version or vice versa. 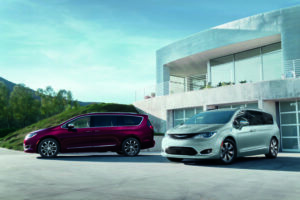 Give the video a watch (below) and, if you still need help deciding between the Chrysler Pacifica Hybrid and its traditional gasoline-engine counterpart, visit a BusinessLink dealership near you to chat in person with a vehicle expert who can help. 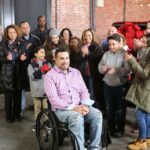 1EPA estimated mpg with 3.6L engine and nine-speed automatic transmission. Actual mileage may vary. 3Based on manufacturer’s estimates. Actual mileage may vary.